The launch of a generic version of long-awaited complex blockbuster drug, Glatiramer Acetate in the USA market has catapulted the company to the next orbit in terms of its capability and credibility as a niche player in pharmaceutical sector. The successful launch of this long gestation product underscores the Company's tenacity and focus on 'difficult to manufacture' molecules. 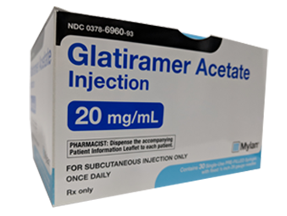 Natco through its marketing partner, Mylan NV launched the first generic version of Glatiramer Acetate, 40 mg in the USA in October, 2017. The drug has brand market value of $3.64 billion for 12 months ending July 31st 2017, according to Quintiles IMS. 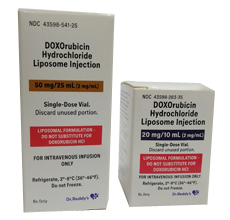 The approval of generic Doxorubicin Hydrochloride Liposome injection, for the USA market; is a testament of Natco and its marketing partner Dr. Reddy's Laboratories in the complex injectables arena. Natco has shown first of its kind in the Novel Drug Delivery System through this nano-particle size liposomal product. NATCO launched the 1st generic version of Oseltamivir Capsules – in the United States in collaboration with our marketing partner, Alvogen during the flu season in December 2016. NATCO, being the only generic player during this flu season, makes this launch a notable blockbuster! our processes, quality systems and capabilities of our team. 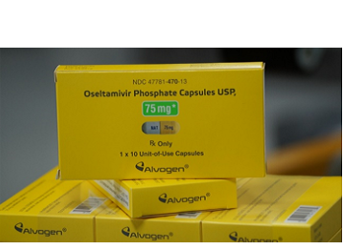 Oseltamivir is indicated for the treatment of acute, uncomplicated influenza. NATCO product is available in all the three strengths of 30mg, 45mg & 75mg. NATCO living up to its purpose of “Making speciality medicines accessible to all” has launched generic brands of HEPCINAT (Sofosbuvir), HEPCINAT-LP (Ledipasvir/Sofosbuvir), NATDAC (Daclatasvir). NATCO is amongst the first companies to launch the generic versions of Sofusbuvir (SOF) and its combinations in India; this is truly a momentous occasion for the hepatitis C virus (HCV) care givers, patients and the company. With the affordable pricing of NATCO, therapy benefits would be accessible to all economic strata and even the semi-rural/rural areas of India. Eradication of HCV in India is a matter of time and is possible through concerted efforts and scaling up stringent preventive measures, screening, diagnosis & treatment. SOF is a well-tolerated effective antiviral agent that is heralding a new era of all oral therapy for HCV. SOF is safe and can be used across different viral genotypes, disease stages, and special patient groups, such as those co-infected with human immunodeficiency virus. When used in combination with ribavirin or another direct-acting antiviral agent, SOF has revolutionized the HCV treatment spectrum and set the stage for nearly universal HCV antiviral therapy. More so than any other anti-HCV drug developed to date, SOF offers the widest applicability for all infected patients, and new regimens will be tailored to maximize performance. Sofosbuvir is truly an evolution and revolution in the treatment of HCV. Ledipasvir+Sofosbuvir is a two-drug fixed-dose combination product that contains 90 mg of Ledipasvir and 400 mg of sofosbuvir in a single tablet, It is indicated for the treatment of chronic hepatitis C (CHC) genotype 1 infection in adults. Daclatasvir is the first-in-class NS5A inhibitor used in combination with Sofosbuvir for the treatment of patients with chronic HCV genotype 3 infection. Compared to other treatment options, this combination not only increases the cure rate, but is also regarded as a valuable treatment option in some of the difficult-to-treat HCV patient subsets. HCV infection is the leading cause of advanced liver disease worldwide. The virus successfully evades host immune detection and for many years has hampered efforts to find a safe, uncomplicated, and reliable oral antiviral therapy. Initially, Interferon and Ribavirin therapy was the treatment standard of care, but it offered limited performance across the wide spectrum of HCV disease and was fraught with excessive and often limiting side effects. HEPCINAT and its combinations are available throughout India and dispensed against the prescription of a Hepatologist/Gastroenterologist/HCV treatment specialist. 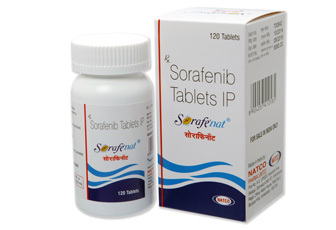 Sorafenib was the first systemic therapy to be approved for the treatment of Liver cancer (Hepatocellular Carcinoma – HCC), but unfortunately the benefits could not reach patients as it was priced beyond the reach of most of the Indians. NATCO saw the plight of the suffering and responded by making the product available through compulsory license. Today thousands of Liver and Kidney cancer patients are able to realise the benefits of Sorafenib through the efforts taken by NATCO to obtain compulsory license. Sorafenat has also helped to redefine the boundaries of Intellectual Property Rights in the context of life threatening diseases. Sorafenat is made available free to more than 600 poor and deserving patients every year. Gefitinib brought a new lease of life to the treatment of Non-Small Cell Lung Cancer (NSCLC), the first targeted therapy for NSCLC. Gefitinib spells better survival in EGFR mutated patients, and a good tolerability combined with improved quality of life has been a highlight. 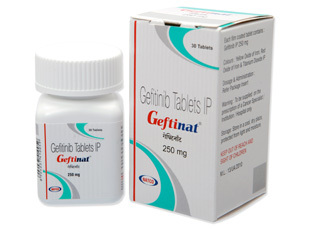 GEFTINAT was the first generic brand to be introduced in 2004 at a fractional price of the innovator when the market was grappling between the high priced gefitinib and conventional cytotoxics. The brand not only became a strong pillar for the company but also for the patients. With many such novel products NATCO continues to be the torch bearer of the Indian oncology market. 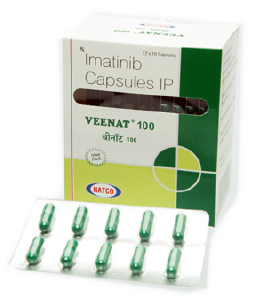 VEENAT is the product that has redefined the oncology landscape and the market dynamics in favour of the patients in India. The first targeted therapy to be launched at a fractional price of the innovator. The first brand to spell AFFORDABILITY in oncology and to take the survival benefits across to the patients irrespective of their economic strata. This principle of NATCO, that “No patient goes without medicine for want of money” set the trend of affordable pricing and patient assistance in the Indian oncology market. Thousands of bottles of free Veenat do not merely represent the brand/marketing statistics, but it portrays the survival of thousands of CML patients and the gratitude of oncologists who treated them. VEENAT is more than a blockbuster for the patients and the clinicians.